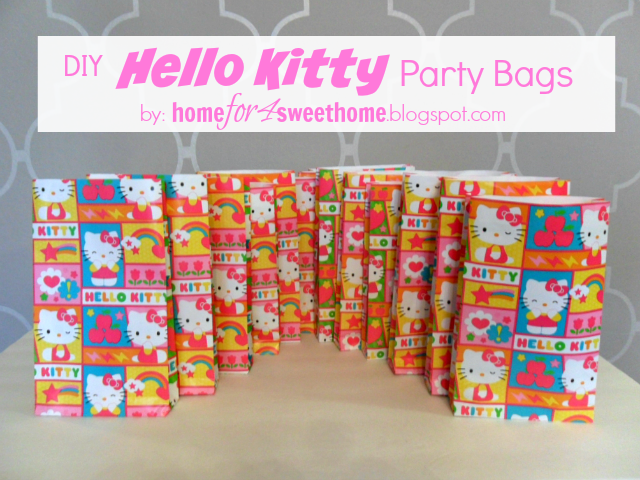 Another thing that I diy'ed for my daughter's Hello Kitty Birthday Party is the party bags. Of course you can easily buy it out there. 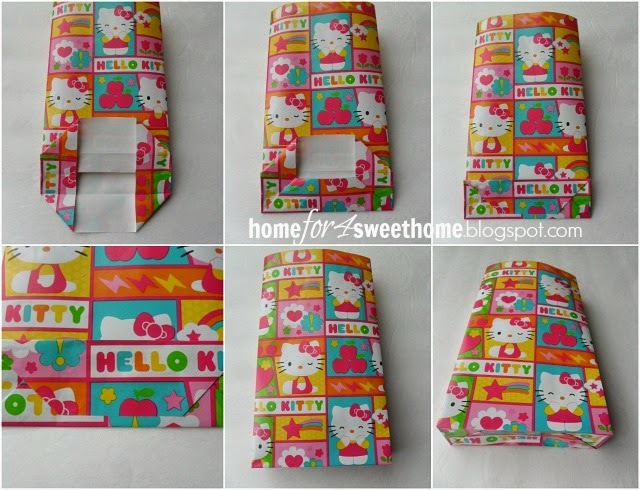 But the paper that I used for this is a left over paper from the DIY Hello Kitty Pull String Pinata so it wasn't a big deal to just use it for this project. 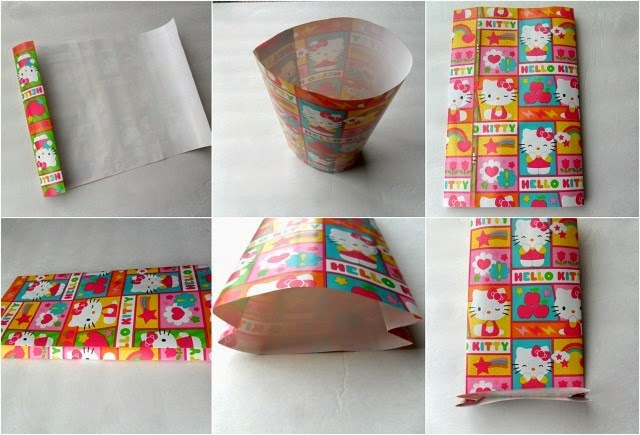 First cut the wrapping paper depending on the size of the party bags you want. Then follow these steps carefully using mod podge to adhere the paper together. I did all these while watching the kids watching tv. And voila! The party bags are done! 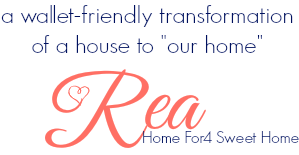 Just fill it with little candies, chocolates & toys and the party bags are ready for the party! Aren't you the crafty one. I have never gotten over the fact that Hello Kitty is not a cat but you have a cute idea! haha hey thanks for stopping by!